Natural remedies for hair care are very diverse. Some of them are literally at hand: herbs, fruit, vegetables, salt, milk, yogurt, and many other. A lot of women use them in order to preserve the beauty and health of their hair. Salt can be bought at any store. However, not everyone knows how useful it is. It heals and cleans hair quickly and reliably. It can remove dead cells and thereby promotes the activation of hair follicles and the flow of blood. #1. Promotes hair growth. Salt stimulates natural hair growth. Washing your hair with the addition of salt makes it possible to get visible results. Hair becomes strong and beautiful. When there is hair loss, massage the scalp with salt. The procedure can be carried out before washing the hair, or after washing it. #2. Heals from dandruff. Salt has a bactericidal effect on the scalp, stimulates blood circulation and mechanically removes dead cells. This leaves no chances to appearing of dandruff. Saline scalp massage for 10-12 minutes before washing the hair gives a good result even after the first procedure. #3. Normalizes the fat balance. Oily hair, as a rule, entails other problems (dandruff, hair loss) and looks unattractive. This is the result of excessive secretion of the sebaceous glands. 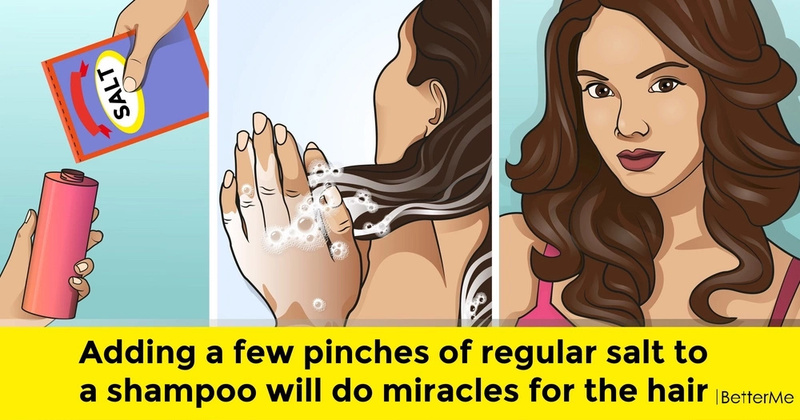 Add 1 tablespoon of salt into 100 ml of shampoo, mix well. After the first application of the improved shampoo, you will see a noticeable change - the hair will become less greasy. However, you should not apply dry salt to your scalp. This can be rather harmful. Also, try always to dissolve salt in your shampoo very well. 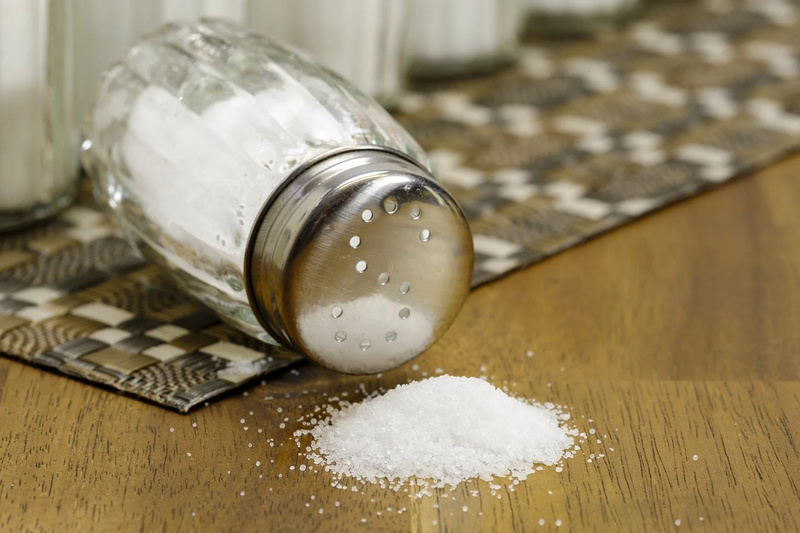 Do not use salt if you have inflammation on the skin or scratches. If you use salt to strengthen dry hair, then always use a nourishing balm or mask after it.